We are delighted to announce that the York Rally 2015 will host the amazing York International Pedal Powered Invention Convention! 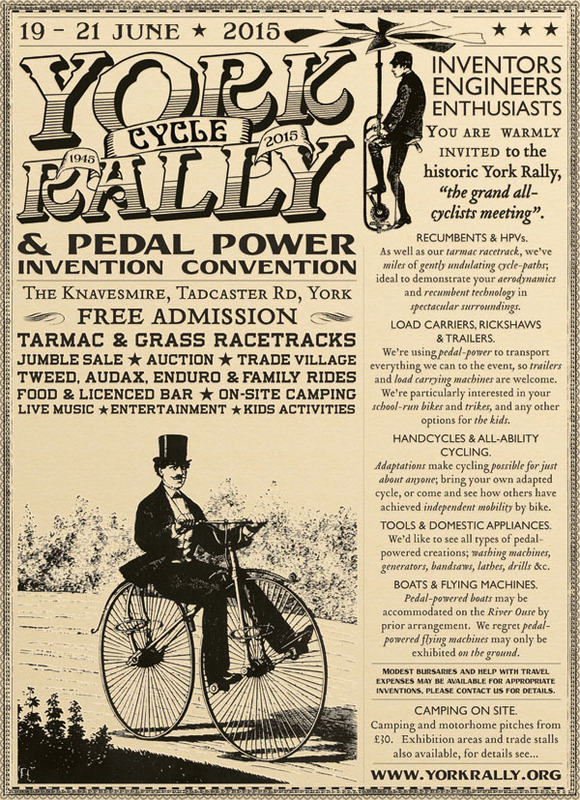 Pedal powered inventors: meet, swap ideas and demonstrate your machines in a safe environment. The visiting public: try out and be amazed by pedal powered machines beyond the ordinary bicycle! Tricycles, load carriers, family carriers, handcycles, recumbents and pedicabs. 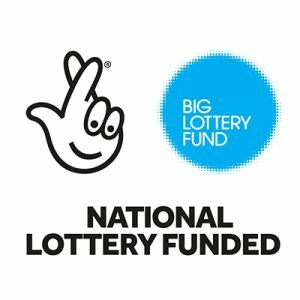 Enjoy powering with your own legs an amazing selection of static pedal powered machines such as: generators, sound systems, washing machines, smoothie makers and treadle sewing or printing machines! See the power of pedal invention to transform the mobility of riders with disabilities! Pedal powered logistics will show what they can do, with cargo bikes working on real jobs replacing petrol vehicles around the Rally site! Fun with bikes doesn’t get any more intense or varied than the Pedal Power Invention Convention! Come along, make some noise on the cycle powered sound system, and bring your friends! Are you a pedal inventor, or do you have something interesting to bring? Could you maybe put on an activity, give a talk or do a demo as part of the Convention? Contact the organiser on 07580 770883 or by e-mail on invention@yorkrally.org or via the form below to discuss the details! 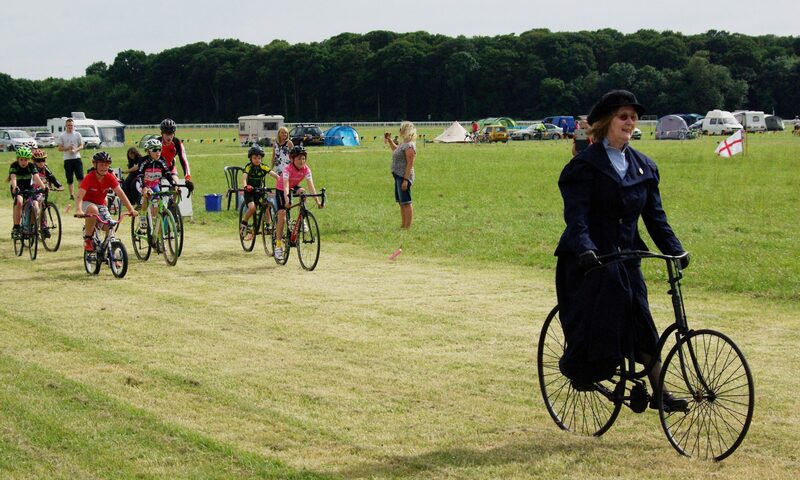 There’s an on site campsite and plenty more going on too, so you can be sure of a fantastic weekend of pedal power!